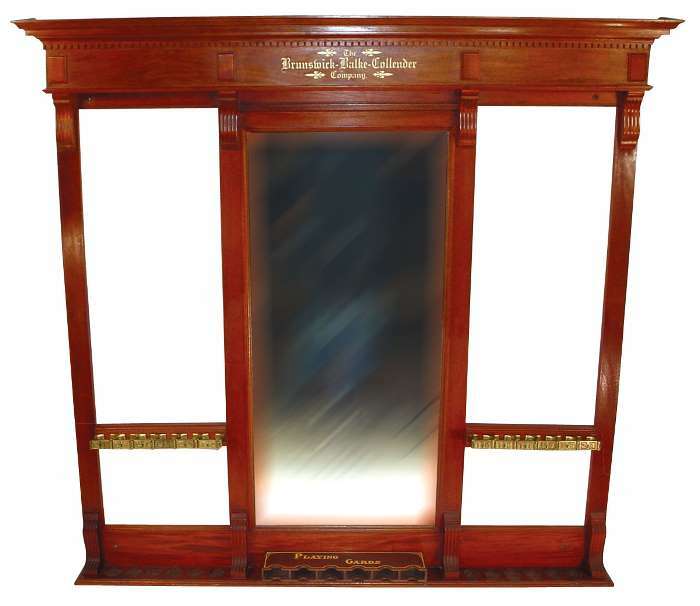 This is one of the finest examples of an 1890s vintage billiard cue rack we've ever had in mahogany. It has 12 misc.-numbered brass cue locks, and a sensational original "card box" at the bottom center below the mirror. A beautiful and rather formal rack indeed.